Karbonn mobiles today announced their new flagship smartphone running Jelly Bean 4.2. 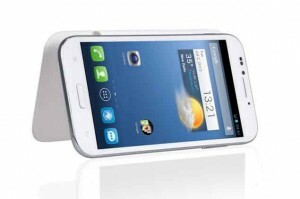 The device is powered by a quad core processor and Karbonn has gone for the 5.5” display in the device. Karbonn Titanium S9 is what it’s known and its going to definitely attract the customers. Though there is nothing new in the design but its good on specifications and I think that’s what people care while going for the Android smartphones. Let see what Karbonn mobile got for the users to attract them and make them switch to their new Karbonn Titanium S9. As I already told that there is nothing new in the design so I don’t need to talk much about it. It will look like every budget price Android smartphone. So here I start with the display. 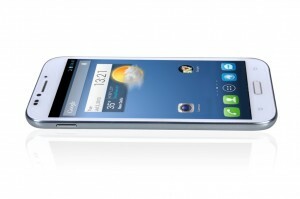 Karbonn mobile has used HD IPS capacitive panel in this device and the display measures 5.5” diagonally. The display supports 720p resolution which is really good and its going to support multi touch feature. Karbonn is going to advertise the device with a tag of having 16 million colors on the display but in reality it’s not a new thing. This shows what type of customers Karbonn mobile going to target; definitely it’s not the tech geeks. The Karbonn Titanium S9 is going to be powered by a Mediatek chipset on which a quad core processor with clock speed 1.2GHz has been added. The CPU is not new in the market as every budget priced smartphone have Mediatek chipset. The storage department got 1GB of RAM and 16GB of internal storage. There is no other internal storage option in the device but the storage can be expanded further to 32GB using microSD card. The storage is really good and it’s going to help the device to get a good processing speed. Till now there are no words whether the device got a dedicated GPU or not but I just hope that it’s there otherwise playing HD games will be a crap. This is where Karbonn mobile has got some unique and much ahead than other device kind of thing. It features a 5MP front camera not rear. Yes, you reading right, the front camera is 5MP while the rear camera is 13MP. The rear camera is set to autofocus and got few more camera features. The front camera is capable of recording HD quality videos so video calling and chatting is going to be really good on the device. 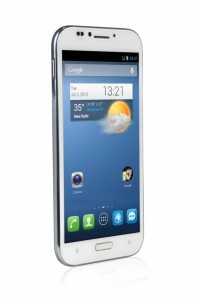 The OS is the Android 4.2 Jelly Bean which is till now the top most variant of Android. Very soon this version will be outdated but still it’s good to have the 4.2 JB. There are G sensor, proximity and ambient light sensors in the device which is again a plus point to look at. Karbonn Titanium S9 supports dual SIM cards and also the 3G cellular network. There is Wi-Fi and Bluetooth for wireless data connectivity and device also got one microUSB port. It is powered by a 2600mAh battery that will make the device to run for at least one day. You can get Karbonn Titanium S9 very soon in your nearest shop at Rs 19,990 i.e. about 20k INR. Karbonn is also providing a cool flip cover with the device.